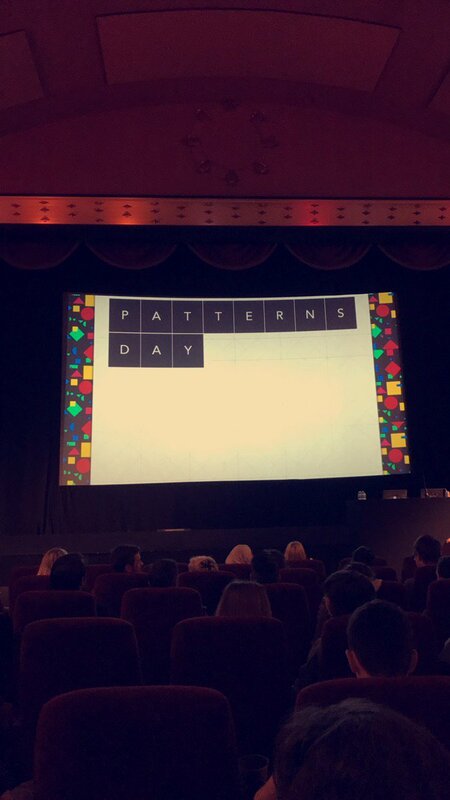 It's been a few weeks now since Patterns Day and I'm still buzzing from it. I might be biased, but I think it was a great success all 'round—for attendees, for I first had the idea for Patterns Day quite a while back. To turn the idea into reality meant running some numbers. Patterns Day wouldn't have been possible without Alis. She did all the logistical work—the hard stuff—which freed me up to concentrate on the line-up. I started to think about who I could invite to speak, and at the same time, started looking for a venue. I knew from the start that I wanted it to be one-day single-track conference in Brighton, much like Responsive Day Out. I knew I wouldn't be able to use the Corn Exchange again—there's extensive rebuilding going on there this year. 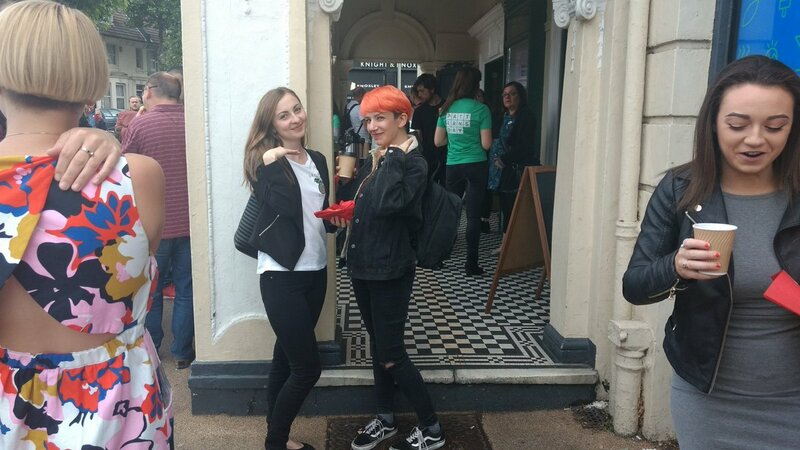 I put together a shortlist of Brighton venues and Alis investigated their capacities and costs, but to be honest, I knew that I wanted to have it in the Duke Of York's. I love that place, and I knew from attending FFconf that it makes for an excellent conference venue. The seating capacity of the Duke Of York's is quite a bit less than the Corn Exchange, so I knew the ticket price would have to be higher than that of Responsive Day Out. The Duke Of York's isn't cheap to rent for the day either (but worth every penny). Because the speakers make or break a conference, there's a real temptation to play it safe and only book people who are veterans. But then you're missing out on a chance to boost someone when they're just starting out with public speaking. I remember taking a chance on Alla a few years back for Responsive Day Out 3—she had never given a conference talk before. She, of course, gave a superb talk. Now she's speaking at events all over the world, and I have to admit, it gives me a warm glow inside. When it came time for Patterns Day, Alla had migrated into the "safe bet" category—I knew she'd deliver the perfect closing keynote. That makes it sound like a conference's job is to represent the status quo. By that logic, the line-up should include plenty of bad speakers—after all, the majority of web developers aren't necessarily good speakers. But of course that's not how conferences work. They don't represent typical ideas—quite the opposite. What's the point of having an event that simply reinforces the general consensus? This isn't Harrison Bergeron. You want a line-up that's exceptional. I don't think conference organisers can shirk this issue and say "It's out of my hands; I'm just reflecting the way things are." The whole point of having a conference in the first place is to trigger some kind of change. If you're not happy with the current make-up of the web community (and I most definitely am not), then a conference is the perfect opportunity to try to demonstrate an alternative. We do it with the subject matter of the talks—"Our code/process/tooling doesn't have to be this way! "—and I think we should also apply that to the wider context: "Our culture doesn't have to be this way!" Passing up that chance isn't just a missed opportunity, I think it's also an abdication of responsibility. Believe me, I know that organising a conference is a lot of work, but that's not a reason to cop out. On the contrary, it's all the more reason to step up to the plate and try your damnedest to make a difference. Otherwise, why even have a conference? Whenever the issue of diversity at conferences comes up, there is inevitably someone who says "All I care about is having the best speakers." But if that were true, shouldn't your conference (and every other conference) have exactly the same line-up every year? The truth is that there are all sorts of factors that play into the choice of speakers. I think representation should be a factor, but that's all it is—one factor of many. Is the subject matter relevant? That's a factor. Do we already have someone on the line-up covering similar subject matter? That's a factor. How much will it cost to get this speaker? That's a factor. Is the speaker travelling from very far away? That's a factor. In the case of Patterns Day, I had to factor in the range of topics. I wanted a mixture of big-picture talks as well as hands-on nitty-gritty case studies. I also didn't want it to be too developer-focused or too design-focused. I was aiming for a good mix of both. In the end, I must admit that I am guilty of doing exactly what I've been railing against. I played it safe. I put together a line-up of speakers that I wanted to see, and that I knew with absolute certainty would deliver great presentations. There were plenty of potential issues for me to get stressed about in the run-up to the event, but the quality of the talks wasn't one of them. On the one hand, I wish I had taken more chances with the line-up, but honestly, if I could do it over again, I wouldn't change a thing. In practice, you probably don't want to have to sell absolutely every single ticket just to break even, so you set the price for a sales figure lower than 100%—maybe 80%, or 50% if you're out to make a tidy profit (although if you're out to make a tidy profit, I don't think conferences are the right business to be in—ask any conference organiser). Some conferences factor in money for sponsorship to make the event happen. I prefer to have sponsors literally sponsoring additions to the conference. 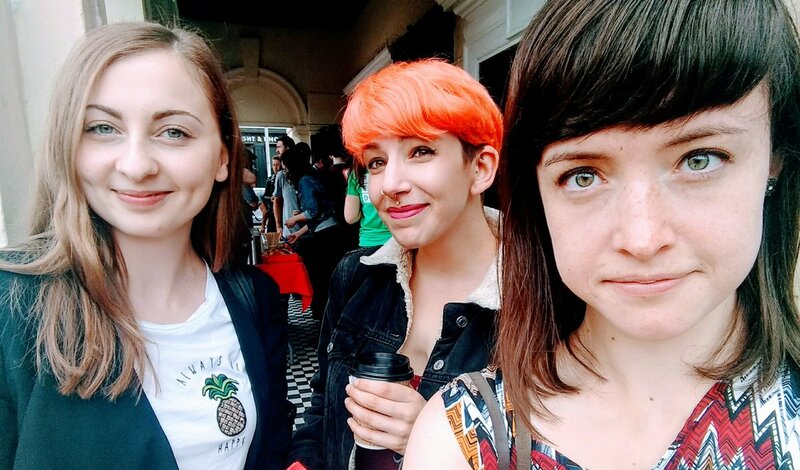 In the case of Patterns Day, the coffee and pastries were sponsored by Deliveroo, and the videos were sponsored by Amazon. But sponsorship didn't affect the pricing formula. The Duke Of York's has around 280 seats. I factored in about 30 seats for speakers, Clearlefties, and other staff. That left 250 seats available for attendees. But that's not the number I plugged into the pricing formula. Instead, I chose to put 210 tickets on sale and figured out the ticket price accordingly. 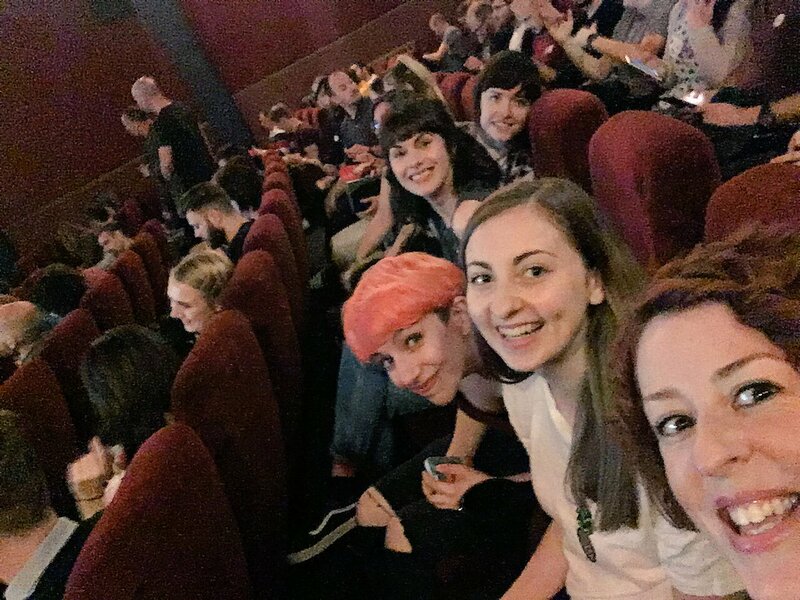 Speaking personally, I found that having the Codebar crew in attendance really made my day. They're my heroes, and it meant the world to me that they were able to be there.